Tim and Abigail at the 2017 BISC undergraduate awards reception. Abigail was recognized for receiving the Paul and Beth Gaylo Scholarship. Tim and Gina at the 2017 BISC undergraduate awards reception. 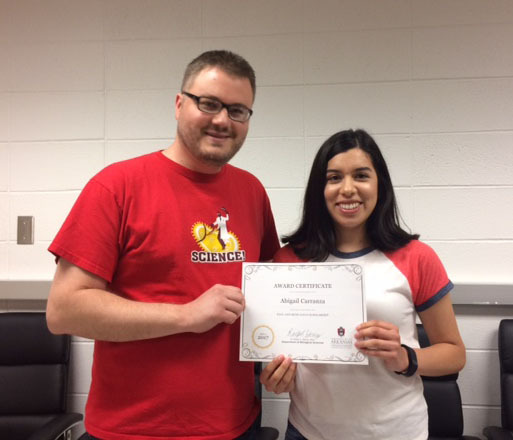 Gina was recognized for receiving the 2016-2017 Fulbright College Presidential Scholarship. Tim and Gina at the 2017 University of Arkansas State and National Awards reception. 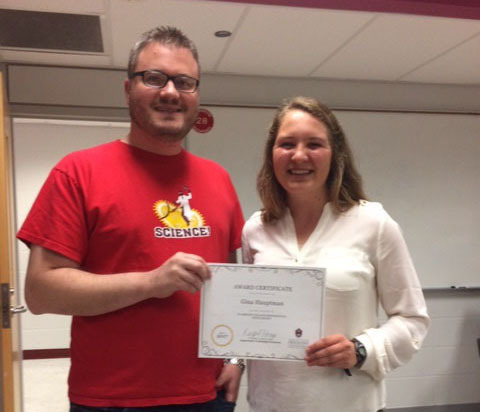 Gina was recognized for receiving first place in the Biology oral presentations at the 2016 INBRE conference. 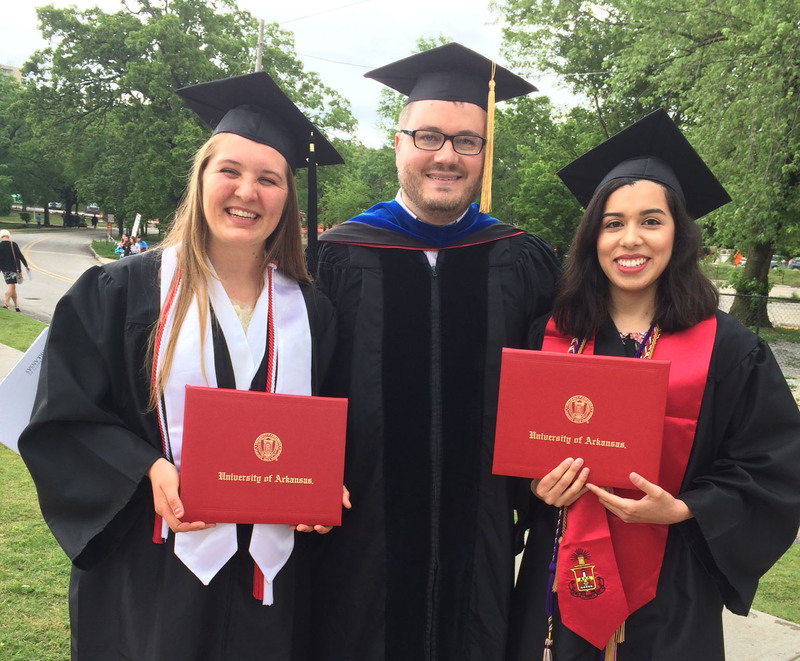 Gina, Tim, and Abigail at Fulbright College Spring 2017 commencement. Gina and Tim at the 2017 Fulbright College Honors Program Graduation Celebration.